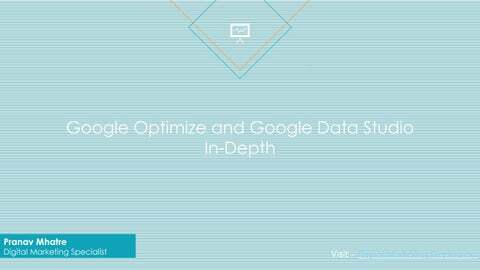 Project slide Google Data analysis Studio allows you to create branded 2 reports with data visualizations to share with your clients. The reports are easy to read, easy to share and even customizable to each of your clients. You can select how you want to present the data â&#x20AC;&#x201D; bar graphs, charts, line graphs and so on.